The XM21 Ultra features our innovative XM21 flat top forged receiver and a 22″ bull barrel with 5/8″-24 muzzle thread and integrated modern optics scope rail. 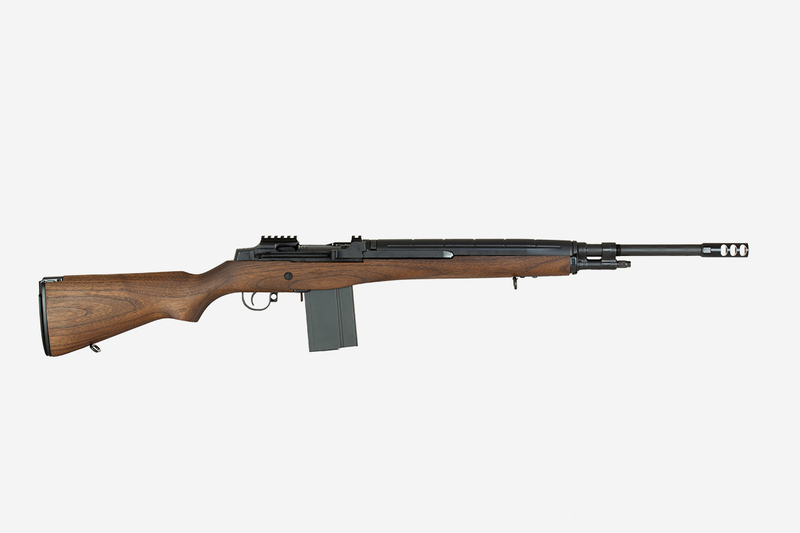 This design takes the M14 platform to a higher level of performance. The XM21 receiver includes an ultra low scope rail milled right into the receiver directly along the center-line of the barrel. The barrel features the largest full-profile barrel ever produced on this platform, significantly reducing barrel whip and includes a completely redesigned gas system to accommodate the .750 barrel diameter. The muzzle features a 5/8-24 thread to allow the user to add a suppressor or any other standard AR-10 muzzle devise. An American walnut stock and manganese phosphate finish gives them a classic, old school aesthetic.